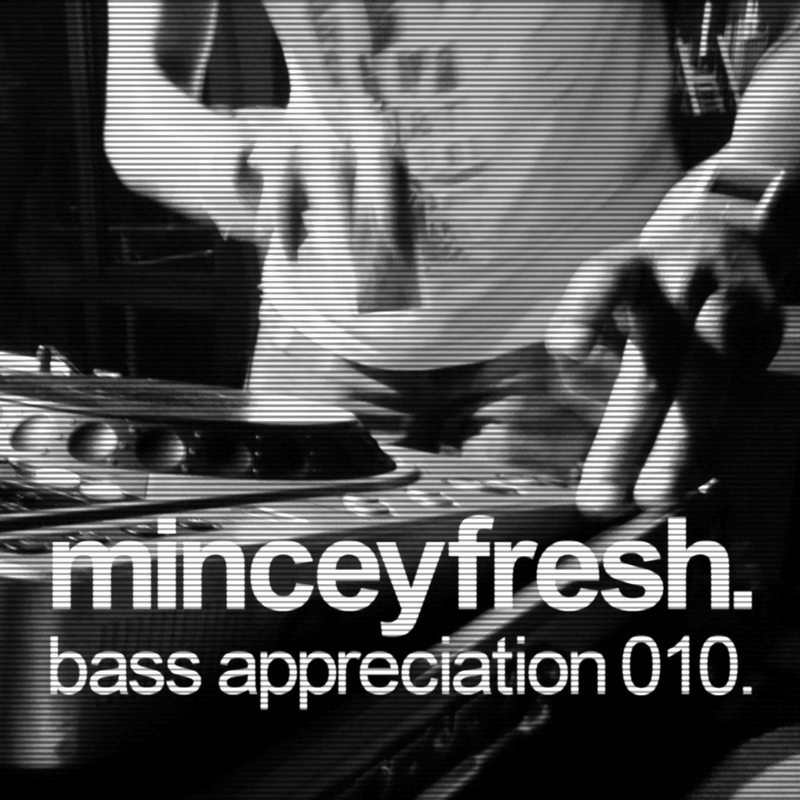 Guest mix on Refreshed Fridaze this Friday night! This Friday, catch me guest mixing on ReFreshed (round two, due to the technical difficulties last time) with residents and hosts Jamie Lin and Bill Samuelz! 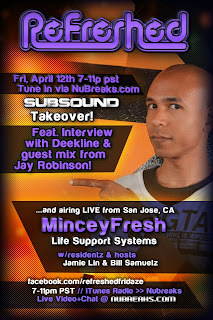 There will also be a guest mix from Jay Robinson and an interview with Deekline courtesy of SubSound! 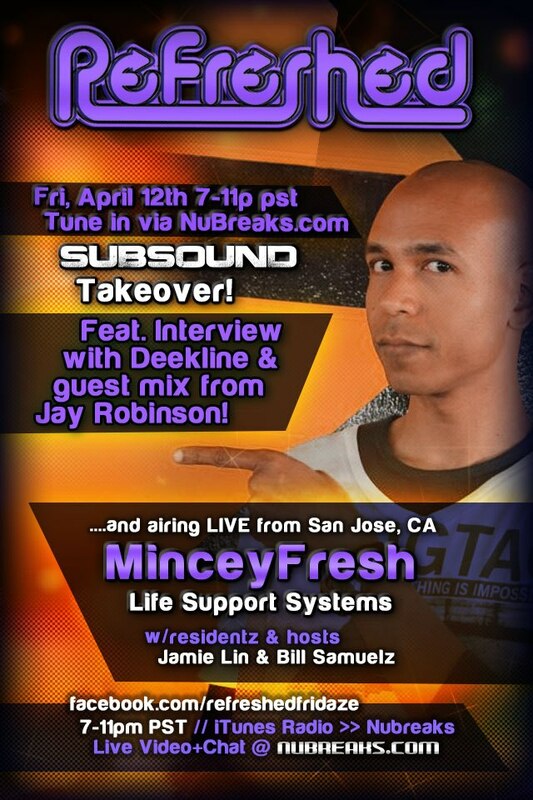 7-11pm PDT! 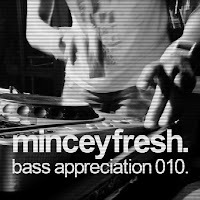 You can stream via iTunes radio (look for "NUBREAKS" under the "Electronica" category) and chat with us at nubreaks.com You can also listen at Shoutcast (seach for "nubreaks"), and if you want to listen via your phone, download the Shoutcast app for iOS or the Winamp app for Android (which has a Shoutcast player in it). I was hoping that I could put out a new mix at least once a month, but it looks like I missed my goal by a few days! Either way, enjoy!